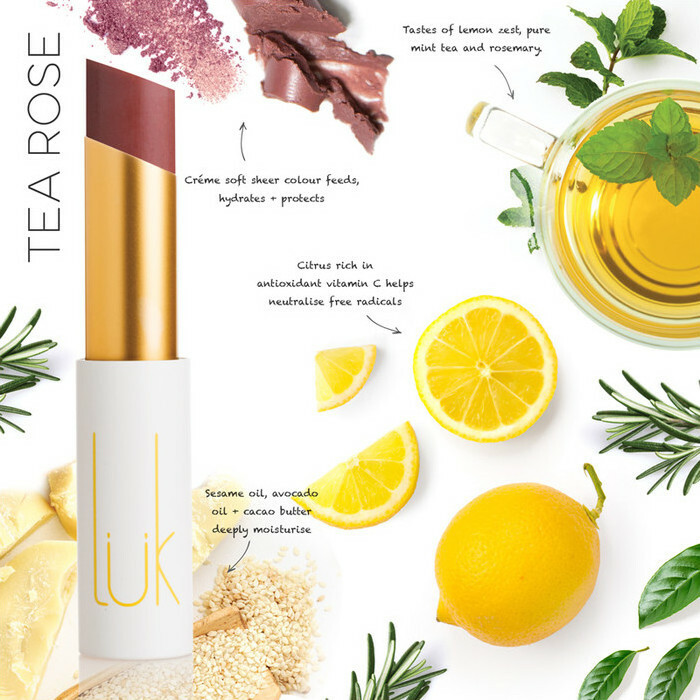 The Luk Lip Nourish in Tea Rose is a classic rose pink lipstick. This sheer formula provides a flattering wash of colour to the lips, without overpowering, making it the ideal choice for everyday wear. This shade is flattering for all skin shades. Made with natural food based ingredients, including Avocado Oil, Cocoa Butter and Sesame Seed Oil to hydrate and nourish the lips. Subtly flavoured with Lemon, Peppermint and Rosemary Oils. Made in Australia and Certified Cruelty Free. Avocado Oil, Beeswax, Cacao, Jojoba Oil, Lemon, Peppermint, Rosemary. Avocado (Persea americana) Oil, Castor (Ricinus communis) Oil, Sesame (Sesamum indicum) Oil, Candelilla (Eupohorbia Certifera) Wax, Jojoba Esters, Carnauba (Copernicia Cerifera) Wax, Isopropyl Jojobate, Jojoba Alcohol, Beeswax (Cera Alba), Caprylic / Capric Triglyceride, Corn Starch, Cocoa Butter (Theobroma cacao), Tocopherol, Lecithin, Lemon (Citrus limonum) Oil, Peppermint (Mentha piperita) Oil Rosemary (Rosmarinus officinalis) Oil, Mica (CI 77019), Titanium Dioxide (CI 77891), Iron Oxides (CI 77491, CI 77492, CI 77499). 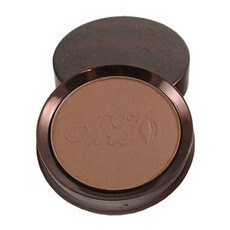 Love this for a more natural shade for my complexion (fair with cool undertones). Goes on smooth and feels very moisturising on the lips. I bought Tea Rose along with Rose Lime as a more subtle alternative to Mandarin Spice for my NC25 skin. TR & RL are super close in colour. I expected RL to be a tad darker, but TL seems to be marginally deeper on me. Both give a no make up look. MS gives me more bang for my buck. The other two are too close to my actual lip colour. They feel nice though!